MYRTLE BEACH, SC (WMBF) - Some parents know fighting off the urge to eat all of the leftover Halloween candy for days and weeks after trick-or-treating is not easy. A big reason why is because your child will end up with so much candy by the end of the night. At the very least, your child will probably bring home at least 3,000 calories worth of candy. According to a report from the University of Alabama at Birmingham's medical school, the average kid takes home anywhere from 3,500 to 7,000 calories on Halloween night. Dieticians stress you should pay close attention to exactly what types of candy you are eating whether it is a Snickers or a Gummy Bear. "That's completely sugar, so it's going to give you that insulin jolt and that hyperactivity where a Snickers has peanuts and things that will help slow down your digestion and not give you so much sugar at once," added Grand Strand Medical Center Registered Dietician Kelly Snow. "At the same time if you are watching calories those peanuts have more calories." The National Retail Federation estimates Americans will spend more than $2 billion on Halloween candy this year. 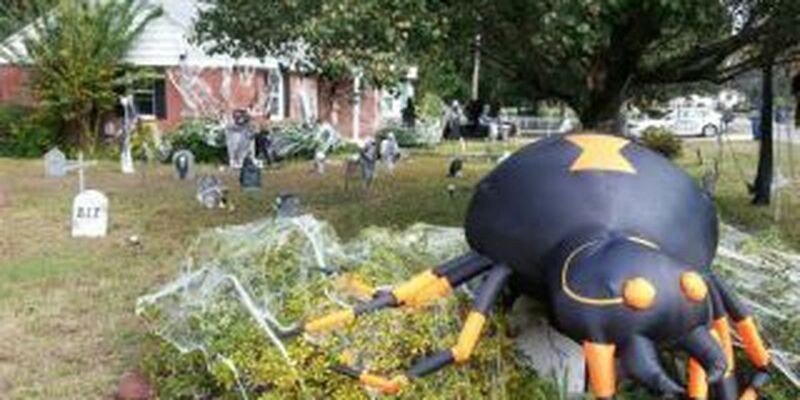 The NRF also estimates most Americans will spend a little more than $77 dollars on Halloween. Most of that money will pay for what we wear out to parties or trick or treating. This year, the NRF expects a record number of Americans to buy a new costume for the holiday. ?